Sweepstakes: Bangkokpants Women’s Long Hippie Bohemian Skirt Gypsy Dress… | FreebieOrBust Freebies! We have a new sweepstakes! We all receive limited opportunities in our life, and this could be your chance to take advantage of our platform and win! 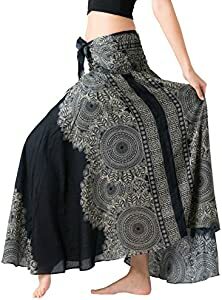 Bangkokpants Women’s Long Hippie Bohemian Skirt Gypsy Dress Boho Clothes Flowers One Size Fits (Hippierose Black, One Size). Chance of winning: 1:1200. Total winners: 2. Offer hosted by Amazon and Bangkokpants.